Dragon Fruit. It's a best source of nutrition, filled with several health benefiting properties. It's low in calories, also zero cholesterol and jam-packed with antioxidants. Increasing intake of fiber-rich foods can lower risk of both coronary heart disease and cardiovascular disease. Dragon fruit is a best source of dietary fiber, therefore it is not only good for the heart, but also it helps in maintaining weight and blood pressure. Dragon fruit is low in cholesterol, as well as trans and saturated fats. Regular intake of dragon fruit can not only be cool refreshing but also it help you in going a healthy heart in the long time. 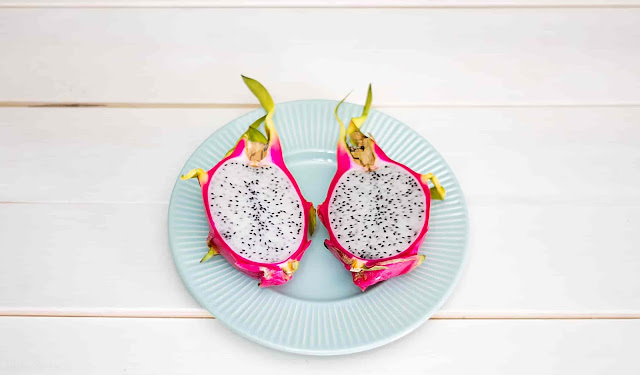 Those of who want to weight loss, it's good to include dragon fruit in your diet and also the seeds which is in dragon fruit which are loaded with omega 3 fatty acids which are good for joint pain and joint flexibility. You Should Read: Confused ? How To Choose The Right Protein Supplement For You? 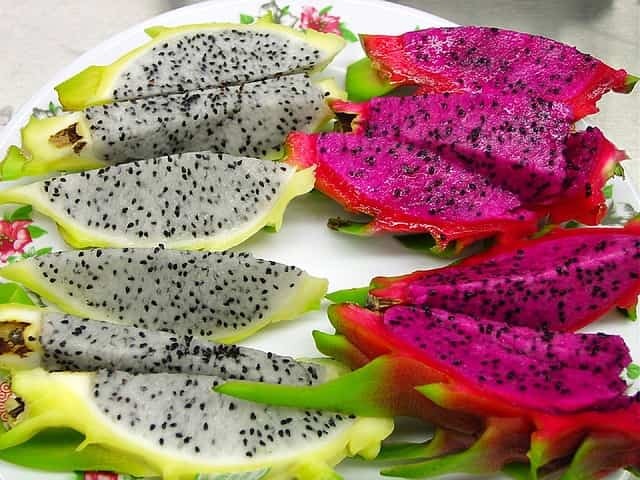 Dragon fruit is filled with phytonutrients that it can provide you required dose of antioxidants to your body. Antioxidants which help in fighting free radicals which could harm and damage your cells and even it will lead to cancer. A diet which is rich in antioxidants is said to keep your heart good and healthy and the you skin look young. The category which is exotic fruit is mostly used in home remedies for skin care because of its high antioxidant property and also content vitamins. What you can do?. You can make a paste of dragon fruit flesh and applying it regularly on the face. It can help in slowing down the process of ageing and it will make you look more youthful. This paste is also used for treatment of sunburn and acne. Dragon fruit is fully loaded with essential potassium, minerals and calcium which help in maintaining our bone structure. Regular intake of potassium is extremely essential for electrical, cellular and nervous functions of our body. In simpler words, potassium keep maintaining water content in our body, acid or pH balance in our body. If you are a diabetic patient, for that having a diet rich in potassium may help you to protect your problems of heart and kidney. Since dragon fruit is a loaded with vitamin C, which it can helps in strengthening immunity system, helping in the absorption of iron by our body, producing collagen( connective tissues ) which makes our teeth healthy and strong, and promoting a glowing and healthy skin. Dragon fruit juice is an excellent for treating hair which previously colored hair. By simply putting the juice of dragon fruit as a conditioner on your scalp, you can protect your colored hair and chemically treated hairs. This will keep you hair follicles open and allowing your hair to openly breathe and remain it smooth and healthy.